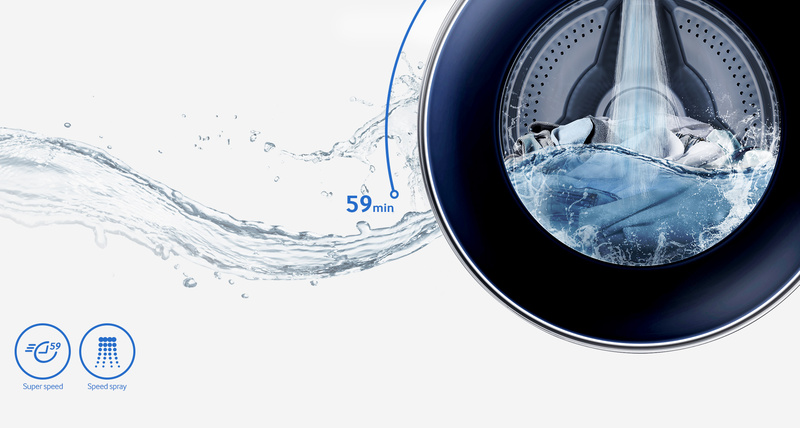 Save time and effort by washing piles of laundry in a single load with Samsung 8/6KG Washer Dryer. 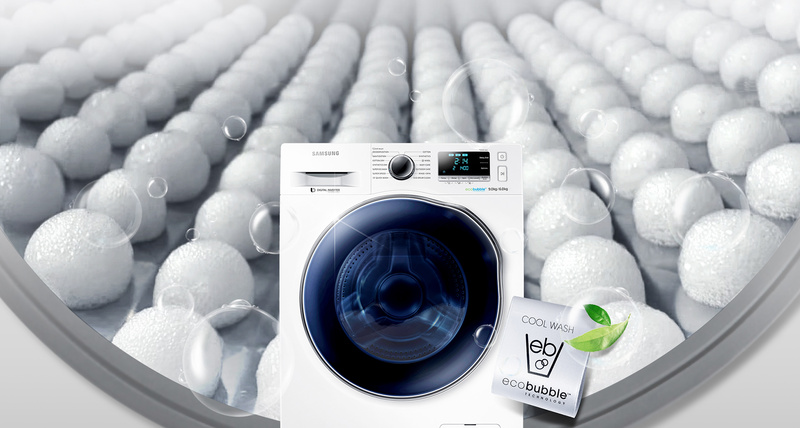 Save energy by washing the loads at low temperatures using Eco Bubble Technology. Bubbles activate detergent, so it quickly penetrates fabric and removes dirt easily, even in cool water (15oC). Samsung washer dryer uses Speed Spray to rinse the clothes more powerfully, and accelerates the spin speed to be completed the washing in just 59 minutes*. 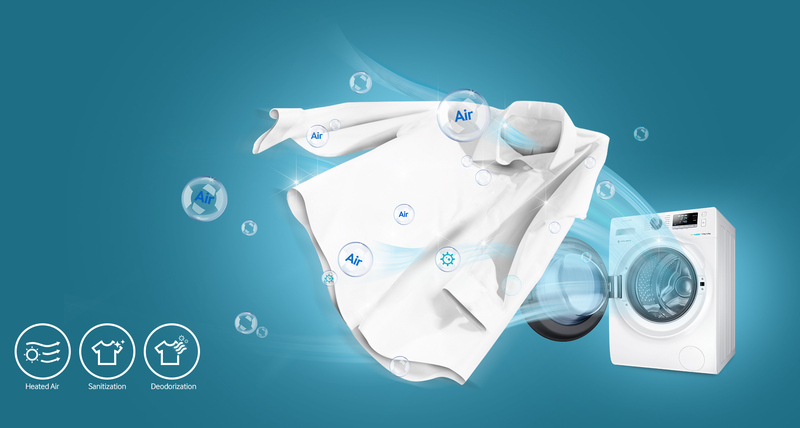 Air Wash technology deodorizes and sanitizes your clothes, so they always smell fresh. Using just heated air, unpleasant odors are removed and bacteria eliminated without using water, detergent or other chemical. 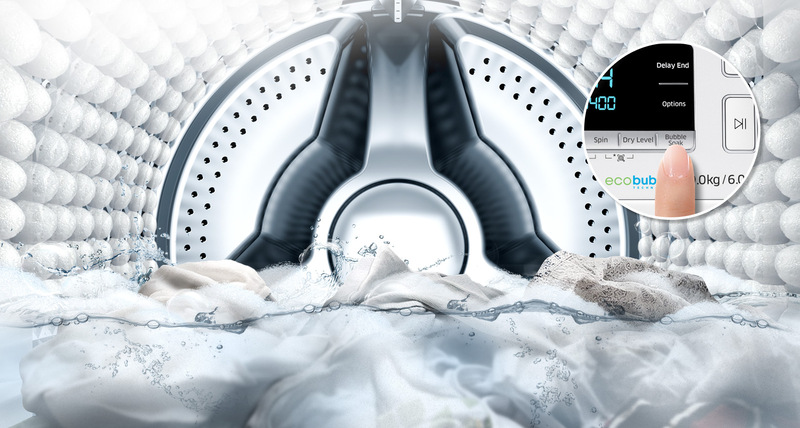 With the touch of a button, Bubble Soak technology helps remove a variety of stubborn stains. Clothes are thoroughly soaked in bubbles, so stains are loosened and removed effectively. 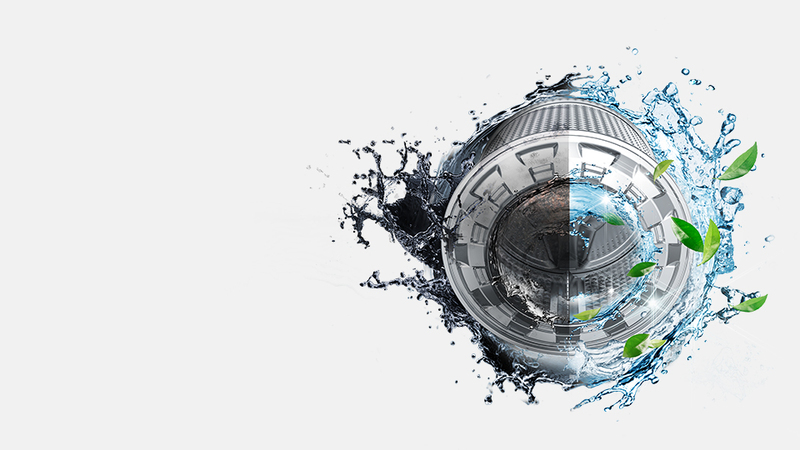 A Digital Inverter Motor delivers superior energy efficiency, minimal noise and exceptionally long-lasting performance. *Based on Super Speed at default settings with a 5kg load. 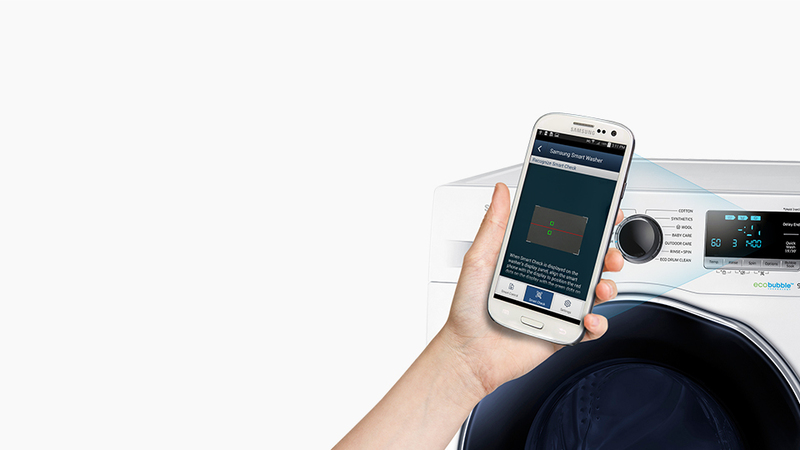 **Available on iPhones and Android devices.